Not sure who your energy supplier is? No problem. In this guide we show you how to find out which energy company, or companies, supply gas and electricity to your property. We’ll also give you a quick overview of how to go about getting a great deal on your energy by switching your energy supply. We hope you find it useful. 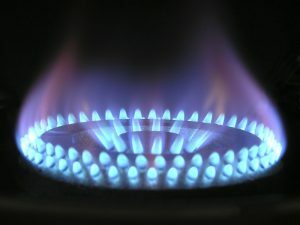 Your gas supplier details will be on your gas bill. If you don’t have a bill to hand – not unusual, who does? – then there are 2 easy ways of finding out. Alternatively, you can call the Meter Number Helpline on 0870 608 1524. (Calls cost 7p per minute plus your phone company’s access charge). To find out who your electricity supplier is, call your regional electricity distribution company. Great Britain is split up into 14 electricity distribution regions (Northern Ireland is integrated with the Republic of Ireland’s grid which works differently). Each region has a company whose job it is to own, maintain and operate the electricity infrastructure in that area – basically the system of cables and towers that bring electricity from the national transmission network to homes and businesses. These companies are referred to as Distribution Network Operators, or DNOs for short. These distribution companies know who supplies your property and can provide you with the information on request. By the way, your DNO will also be able to tell you what your MPAN (Mater Point Administration Number) number is, so if you also need this information then why not ask them at the same time. The list of electricity regions, together with the relevant telephone numbers, is shown below. You may notice that some of the telephone numbers are the same. That is because several DNO’s are owned and managed by a handful of corporate groups. Yes, it’s complicated. East Midlands 0800 096 3080 Western Power Distribution - who is my supplier? West Midlands 0800 096 3080 Western Power Distribution - who is my supplier? South Wales 0800 096 3080 Western Power Distribution - who is my supplier? South West England 0800 096 3080 Western Power Distribution - who is my supplier? I have just moved house and need to find out who my energy supplier is. If you have just moved into a new home, you might be able to find out who your energy supplier is from the previous tenants, the landlord or the letting agent. Alternatively, you can contact the Meter Number Helpline and your regional electricity distribution company using the options listed above. What information do I need to switch my energy? You can find your details about your energy usage on your energy bill or annual statement. Alternatively, you can pick a usage profile on our site which should provide a reasonable estimate. To switch your energy supply you’ll need to pop in some details about you, your property and, if you are choosing a direct debit tariff, your payment details. That’s it. There really is no point paying lots more for the same energy, so pop in your postcode above to get started.